It’s that time of year again: the start of cold/flu season. Many of you sent your kiddos back to school in the last week or 2, and with that comes the sharing of lots of germs. The question has started popping up: what do you do for immune boosting and limiting time spent sick? So I decided to go through my home & pull my various remedies. Some will definitely not apply to your needs, some may. I am NOT a doctor. I am a Mom who seeks out natural remedies to boost my kiddos immune systems & treat their symptoms whenever possible, resorting to conventional medicines as a final resort as needed, and sometimes they are needed. Also, we are generally very healthy. We have no known allergies or sensitivities. Many months go by that we take nothing more than our probiotics, and even those are rarely on a daily basis. My Mom is the nurse in our local Complimentary Medicine Clinic, so she’s a wealth of info for me as needed. I hope this helps give you some ideas as to things you may want to have on hand in your natural medicine cabinet. You’ll notice I don’t mention dosages below. I’m hesitant to recommend dosage because again, I’m not a doctor. I’d like you to research that further and consult your own trusted sources to determine that. Pictured below, the generic, bulk pellets: It’s awesome to be able to buy homeopathic pellets in bulk, definitely saves money & reaffirms what an alternatively-minded area I live in when I can get these over the counter at my pharmacy! Hyland’s Calcarea Phosphorica: also used to remineralize teeth: purchased on Amazon, not seeing it listed currently, my food co-op also sells many of the Hyland’s remedies. Chamomilla (generic): I used these when my kids were teething. My local pharmacy stocks many homeopathic remedies in bulk! Kali Bichromicum (generic): again from my local pharmacy. For cough symptoms, I can’t remember if it was for dry or wet cough, that definitely matters as you’d want a different remedy for a dry cough vs a wet one. Nux Vomica (Boiron): I swear by this remedy for bellyaches, we never are without it! My kids ask for tummy pellets if they’re not feeling well! Four Elements Echinacea: Pretty sure I got this at my food co-op. I add this to their elderberry syrup concoction when giving it for general immune boosting. Montana Farmacy Japanese Knotweed: purchased at my food co-op for my Son’s Lyme’s symptoms. Hawaii Pharm Cat’s Claw: purchased at my food co-op for my Son’s Lyme’s symptoms. Cough Care: Mountain Rose Herbs, not currently seeing it listed…. Herm Pharm Myrrh: Bought when I was dabbling in making my own mouth wash, then Poofy came out with theirs & I’ll never use anything else. But it also lists immune boosting properties so I’ll try to incorporate it there. Bought at my food co-op. — I make elderberry syrup in the fall going into winter. I add wild-harvested dried ginseng & goldenseal powder (harvested by my Hubby. This is our go-to elixir for immune boosting. I do 3-4 days on, 3-4 off for general immune boosting. If they’re coming down with something I will give it twice/day for a couple days. I get 1# of dried elderberries from Mountain Rose Herbs for $14.50, this is enough to last all cold/flu season. I’ve adapted Wellness Mama’s Recipe (add ginseng & goldenseal as mentioned above, remove ginger & cloves as it made it too spicy for my kids): https://wellnessmama.com/1888/elderberry-syrup/. You can also buy the syrup already made (MRH is currently N/A, but they have extracts), just make sure you’re not getting additional unwanted ingredients in the syrup. Dried: https://www.mountainroseherbs.com/products/elder-berries/profile. –Arnica— I’m out. I get what my food co-op has, will comment when I re-stock! In conclusion: am I saying you should run out & buy 1 of everything in the picture? Heck no! I’m just giving you some ideas & showing you my collection based on the needs of my family. Mountain Rose Herbs is an amazing resource for tinctures, elixirs, remedies of all sorts! Being prepared makes me a happy Mama! Someone asked about a good kit last week, and I recommended Boiron because that’s the name I’m most familiar with. I learned about this brand, Helios, and they come highly recommended. They hand-dose their pellets vs using machines like the bigger companies. The company is based in the UK but I felt good supporting them vs Boiron or Hyland’s….Yes, this was $69, but for 36 remedies that’s less than $2 each!! Many of these are ones I use regularly, others are new to me & I’ll be reading up on them more. They list a 5 year expiration date, but they really never go bad if stored properly (out of sunlight & away from moisture). This is an EXTREMELY important topic, and I’m fortunate enough to have my own well out in the country, and I do not use any filters. But this is a very FAQ in my Facebook community so I thought I’d share the below info for those looking for more info. I was contacted by an organization with the following info, and I thought it was worthy of a blog post of its own vs just sharing in my closed group on Facebook. I am not able to independently verify this info, it’s up to you to do further research please! Email: “I’m reaching out because I wanted to share our in-depth research on water filters with you. For those trying to reduce plastic waste, one water pitcher filter can effectively replace as much as 300 standard 16.9-ounce bottles. But our team at Reviews.com wondered, which water filters are the most successful at removing contaminants and enhancing flavor? We set out to answer this by spending months analyzing dozens of popular pitchers and faucet water filters to determine the top six. Our reviewers consulted with industry experts from the Water Quality Association as well as compared filter models, initial cost, and lifetime cost of filters to create a handy guide for consumers. My hunt for a safe, affordable new bed! 27 Aug 2017 Comments Off on My hunt for a safe, affordable new bed! The hunt for an organic yet affordable mattress is a very FAQ in my group. As with other categories I’m asked about, Greenwashing abounds. Companies use all sorts of buzz words, often stating what their mattresses are free from, while glossing over some less than desirable materials that may be in them. I had my choices narrowed down to 2 companies: My Green Mattress (MGM) or Savvy Rest. Both offer quality, organic mattresses. I ended up choosing MGM because their prices are much lower. They’re able to do this because they sell factory direct, meaning there is no middle person in the equation. Yes, they have an affiliate program, Jolene my co-author on the page is an affiliate, meaning she earns a couple percent of each sale used via her link. But it’s nothing like the 50%+ mark-up a standard whole/sale retail agreement would entail. I strongly suggest going to their showroom in La Grange, IL if it’s at all doable for you. In hindsight I’d wished I’d made the 6hr drive myself. BUT, they do have a 100 night trial, if you’re not happy, you can send it back for a refund or exchange. So that gave me the peace of mind that if I hated it, I wasn’t stuck with it. So how did I like the new mattress? It’s very firm. I did sleep well, but after giving it a full month I decided I wanted something more pillowy. I was torn between sticking it out & getting used to it, which I have a feeling I would’ve eventually. It takes our bodies time to adapt. I really didn’t want to spend more money, but decided to go for it & get a topper. After reaching out in my group to weigh all options, I settled on the Shepherds Dream Snuggle Mate Topper from the vendor Green Mountain Organics (a Mama in our group). About this topper: “ Add a wool filled Snuggle Mate to your mattress for additional cushion and to experience the benefits of wool. Wool will keep you warm in the winter and cool in the summer, while also helping to relieve aches and pains. Feel your body relax as you lie upon the cloud-like wool in the snuggle mate. Our Snuggle Mate wool mattress topper consists of 3″ of our lush USA eco wool batting, and is encased in a thick, soft cotton sateen. The sateen fabric is grown and woven in the USA. Add this topper to any bed to provide you with the comfort and breath-ability of natural wool. If you would like to add extra cushion to your existing mattress, this is the perfect item for you. Lightweight and easy to care for, we highly recommend topping your mattress with the 3” thick Snuggle Mate. Though this mattress topper will compress regular use, wool always retains its comfort and natural resilience.” The fact that it was on sale so I saved a couple hundred bucks was the cincher in me choosing this over some that were more in the $1000 range. It was waiting for me after we got back from a 3 night camping trip, I was so excited to get it in place & lay down & truly had an ahhhhhhh moment & indeed, it has made my bed perfect for my liking. Of course, the kids sleep great no matter where they are, but they liked the addition of the pillowy softness too! Jolene, who shared her thoughts on the same 9” latex mattress in her link up above, is still very happy with hers, and she is not using any sort of topper. Bed platform: we used our existing, homemade support that my Hubby had made for our previous mattress. It’s a custom red cedar platform & I love it because it has storage built-in underneath. MATTRESS PROTECTOR: I went with the Luna: http://amzn.to/2vAryjp. It might surprise you that I bought an organic mattress but opted out of a 100% natural mattress protector, but I really didn’t want to drop another $500+ on a wool barrier. Being I am bed-sharing with my 2 kids I know there will be an occasional bed-wetting, and sick nights involving puking kids. I wanted to be realllly sure that the mattress & topper were protected. And my daughter has indeed wet the bed twice in the 3 months we’ve had our new bed, and the protector did its job perfectly. It washes very easily, I was concerned a king size wool pad would not fit in my washer. Both products from Luna did have a pretty strong plastic smell out of the plastic zipper bag they came out of, but per the instructions (and as a good rule of thumb in general) I washed them twice before using them & did not notice a smell afterwards. PILLOWS: I also purchased 2 new shredded latex pillows from MGM. They are not made by them, I learned once they arrived that they were made in Canada, which is OK by me. They are shredded latex. I also have 2 of the solid latex (not shredded) from MGM (they no longer offer them) that were ~ 3 years old & I did feel they were starting to get a bit deflated, I found myself wanting another small pillow. But the new ones are plenty supportive & I don’t need more than just that for my needs. My Hubby prefers a flatter pillow so is sticking with the old ones, the new are a bit too much for his liking. PILLOW PROTECTORS: I hadn’t really thought about protecting my 2 new pillows, until someone in the group mentioned she had to throw away her pillow away after her child puked on it & she just could not get it cleaned properly. So for only another $30 I felt good purchasing the Luna protectors & knowing my pillows would also be safe: http://amzn.to/2vAT9kk. My budget really needed some recovery time after this flurry of activity. So I decided to make do with the bedding we had been using (regular cotton sheets, etc). But as my budget allows & as I need new sheets, pillowcases & eventually a comforter, I will be replacing them with organic, hopefully made in USA options as well (and will share here). So what did I spend for all of this? I did get a couple hundred off my mattress (they upgraded me to the 9” at the 7” price, as a blogger discount and for sharing my honest thoughts with you today), but here’s what you’d pay at full price: $2922.85 (I paid around $2500 with the mattress discount & topper being on sale). So yes, ~$3000 is a LOT of money. We rarely spend more than $1000 on our vehicles (my Hubby is a mechanic so puts needed work into them). So this was a huge purchase for us. BUT, I had been on my conventional, nothing special mattress for almost 17 years! I have no doubt I will be set for 2 decades. And also remember, this was all king size, so it will be cheaper for smaller sizes of course. The peace of mind that comes with providing the very safest options for my family is worth every penny. And the fact that we spend ~1/3 of our lives sleeping, means this really, truly is a very important item purchase! Thank you for taking the time to read my thoughts, and let me know if you have any questions. Sheets- Coyuchi had 40% off sale in Oct! I purchased king size, 300 count sateen organic sheets & pillowcases (and a toddler pillow), for ~$240 total via Green Mountain Organics. Contact Michelle, she often has sales! No, not made in USA. ADDITIONAL EXPENSE: comforter, duvet, sheets & pillowcases= ~$450, and all were on sale! So that brings the total of my bed to right around $3500, really not too bad in my opinion, considering the 2 decades or more I’ll get out of it all! For the wine lovers out there…..
14 May 2017 Comments Off on For the wine lovers out there…..
“The wine industry is broken, and you’re helping to fix it. Right now, the two most important people in the wine business are getting screwed; you and the winemaker. You probably didn’t know it but you’ve been paying too much for wine. Way too much. And at the same time, winemakers have been getting a bum deal. So who’s been making all the money? So the idea is that we’re buying straight from the wine makers. Thought some of you may be interested! RARE Poofy Organics 15% off sale is ON! 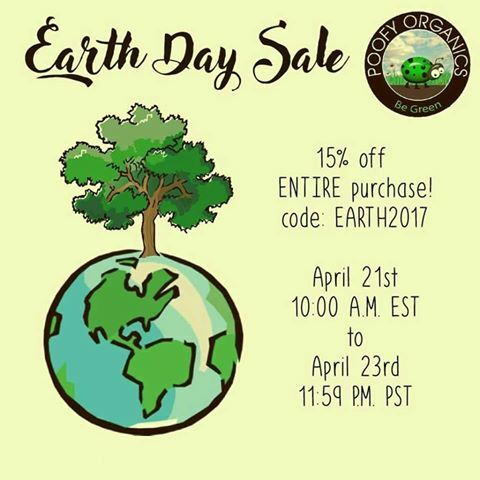 21 Apr 2017 Comments Off on RARE Poofy Organics 15% off sale is ON!